Conclusion: An ideal finishing touch for any P-47 Thunderbolt kit. 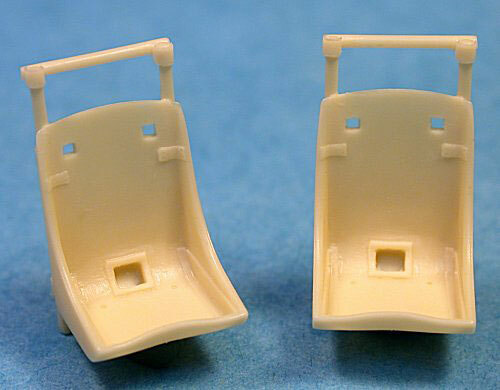 Ultracast has released three new 1/48 scale seats for P-47 Thunderbolt kits. Two of the seats are the later style with the squared-off top. One set features cast-on harness straps, while the other is cast without harnesses. 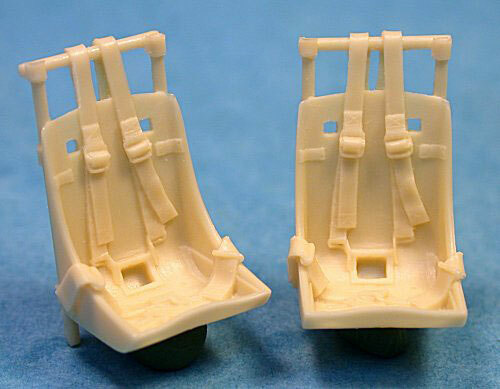 The third new release is a standard P-47 seat without harness straps. All the seats feature beautifully fine detail. They are cast in a single piece with the mounting frame behind the seat. The casting block is nothing more than four fine strips of resin. There is a tiny amount of very fine flash between the top of the frame and the seat itself that will need to be removed with the tip of a sharp hobby knife. The seat featuring the harness displays a natural drape. Incredibly, even the raised stitching detail is represented. The harness should look great after a careful painting and weathering job. Check your references to see which seat applied to your particular model. 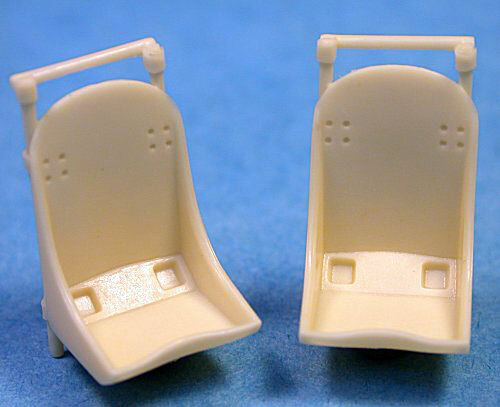 Thunderbolt fans will be very pleased to see these three excellent new seats parts from Ultracast.